How Far is Meenakshi Trident Towers? 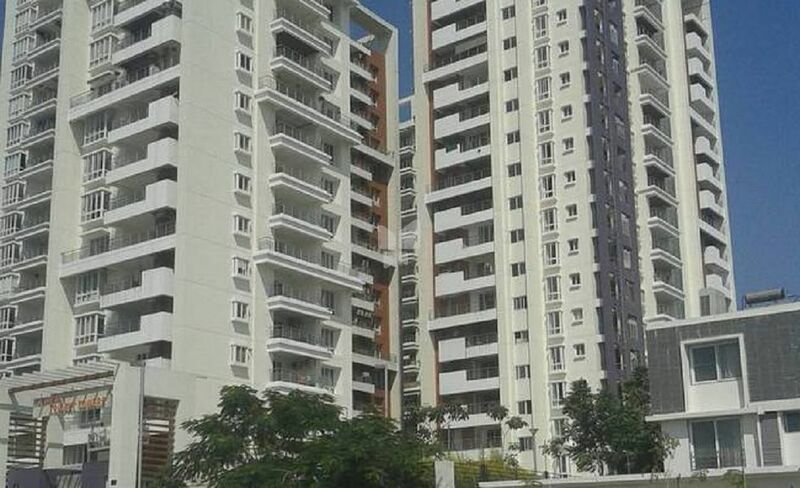 Trident Towers is one of the popular Residential Developments in Gachibowli neighborhood of Hyderabad. It is among the Ongoing Projects of Meenakshi Group. The landscape is beautiful with spacious 3 Blocks Houses. Structure : RCC framed structure. Steel from SAIL/VSP/TATA and the Cement from L&T / Birla/KCP/Gujarath Ambuja Cement or any other reputed brand. Walls : 8"/6" light weight Aerocon and 4"/8" red/hollow brick masonry for Internal/External respectively. Interior Walls: One coat of primer and two coats of plastic emulsion paints with smooth luppum finish using Alteck or brand of Birla or any other reputed brand. Exterior Walls: One coat of primer and two coats of Apex paints with smooth exterior luppum finish and cladding with tiles & texture as per elevation. Flooring : Vitrified tiles of 2'x2' for entire area. Toilets with non-slippery ceramic tiles. Toilets & Accessories : Designer Ceramic tiles dadoing up to 7 feet height. Colored EWC/IWC and Washbasin of reputed make like Parry, Hindustan etc. Hot and cold water Single liver mixer with shower. Health faucet / bib tap at commode. Main Door: Teak wood frame and teak wood paneled shutter with designer hardware of reputed make. Internal Doors: Teak wood frames with veneer shutters with polishing and standard hardware. Windows: UPVC windows with shutters fitted with standard hardware. Kitchen :Black Granite kitchen platform with stainless steel sink. 2’0” dado with glazed tiles above granite kitchen platform. Concealed copper wiring in conduits for lights, fans, plugs and power points wherever necessary with reputed make like Anchor, Finolex etc. Modular switches of Anchor make/North west/MK/Toyoma or equivalent. A.C. provision in all bedrooms. MCB & ELCB for each DB. 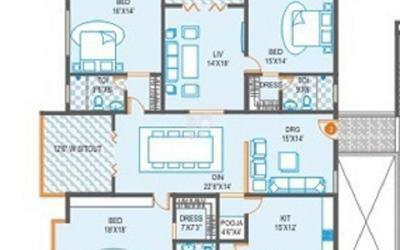 Telecom : Telephone points in all bedrooms, drawing, living areas & kitchen. 4 pair cable to all the units. Intercom facilities to all the units connecting security. Water Supply : Water supply from bore well and corporation water. Lifts: Two lifts for each Tower (2 Nos. passenger lifts of 10 persons capacity and One goods lift) of Johnson or reputed make. Landscaping : Well-landscaped surroundings with equipped Tot lot area. Parking :2 cars parks for each unit. Gas Pipeline : Centralised gas pipelines. Garbage Chute : Automatically operated garbage chute with self sanitizing mechanism provided with intake doors in each floor for disposal of garbage. Sree Meenakshi Land Developers now brings its wealth of Knowledgej and expertise in the field of Independent villa Construction to the cosumer.We started our foray into the real estate arena in 1999 with 20 villas Construction on our own Land.Sree Meenakshi Land Developers has completed its 9 villa projects and come up with new housing projects in South Bangalore Named shree Saraswathi Nagar, Which includes Residential project of villas in 50 Acres. This vaasthu compliant housing project is Available in an affordable way due to our cost conscious planning.